The Central Bank of Nigeria (CBN) recently removed the peg on Nigerian currency (Naira) and officially announced a floating rate. The implication therefore is that the value of Naira will be determined by the forces of demand and supply. In its announcement, the CBN introduced an over- the-counter (OTC) Foreign Exchange (FX) Futures, a derivatives product which will help open up the market and encourage foreign investments. Derivatives (Futures, Forward, Swaps, Options and Swaptions) are bilateral contracts or payments exchange agreement whose respective values are derived from the value of an underlying asset or underlying reference rate. This means that the value of a contract entered into today will be determined on a future date based on market forces. For instance, if Party A enters into an arrangement with Party B to buy 1,000 barrels of oil at US$40 per barrel (pb) in 6 months in anticipation that price will spike to US$50 within the period; the value for such contract is determined by market position of the commodity at the end of the 6 months. Thus, the price at the end of the 6 months will determine the value added to the parties. Futures are exchange traded forward contracts with standardized terms. Their price is determined by market price. Futures contracts are highly regulated by an exchange, thus counterparties’ credit risk are largely minimized as such is borne by the exchange. To prevent credit risk, the exchange ensures that parties post Initial Margins (IM) before they are allowed to transact on the floor of the exchange. Counterparties, in addition to IM, are also required to mark the market daily by posting Variation Margin (VM) with the exchange. An Illustration will aid the understanding of the concept of IM and VM. Recall our Party A and B example; Party A wants to buy oil at US$40pb in 6 months and Party B also wants to sell at that price despite the future price of the commodity. The buy side approaches the exchange which links it with the sell side. Assuming the contract sum is US$40,000, the exchange will mandate the counterparties to post at least US$2,500 each as IM. At the close of each trading day, depending on the market movement, any counterparty the market moved against will be required to post a VM. Thus, if at the close of Day 1 (D1) trading, oil price moved down to US$35pb, a cash call will be made on Party A to post US$5,000 to mark the market and bring the price to US$40pb which he contracted to pay in 6 months and vice versa. Forwards on the other hand are OTC negotiated i.e. they are bilaterally negotiated between participants upon flexible terms. They mature over time based on the need of the parties. Counterparties to Forward contracts generally do not mark the market since there is no exchange to regulate the conduct of counterparties. The paucity of regulation, exposes Forward contracts counterparty's credit risk..
Counterparties in both Futures and Forward contracts, settle their trade positions at the end of the contract period. Settlement could be physically or cash settled (traditionally, Futures are cash settled while Forwards are physically settled). Following our illustration, for Futures contracts cash settlement, if at the end of the 6 months the price of oil had risen to US$50pb, the exchange will pay US$10pb being the difference between the contract and spot price of the commodity to Party A. On the other hand, if the price of oil at settlement date was US$30pb, the exchange will give the difference to Party B. In Forwards (physical) settlement, if the oil market price was US$45pb at the last trading day of the 6 months, Party A will hand over US$40,000 to Party B who will then make up the difference and purchase the contracted 1000 barrels. Alternatively, if the price was down to US$30 pb, Party A will still hand over the same US$40,000 to Party B, the US$10 made by Party B on each barrel constitutes the risk premium. FX Futures are derivatives contracts traded on an exchange where the delivery of underlying currency is the subject matter of the contract. In the United States, FX Futures are traded on the International Money Market of the Chicago Mercantile Exchange as well as other licensed Exchanges. To replicate this, the CBN in its Revised Guidelines for the Operation of the Nigerian Inter-Bank Foreign Exchange Market dated June 2016 (The Guidelines) stated that the OTC FX Futures will be traded on the FMDQ OTC Securities Exchange. It is noteworthy to state that OTC FX Futures as explained in Guideline 2.2.2 (non-standardised contract with fixed tenors and bespoke maturity dates), aligns more with Forwards contract. It is the writer’s view that the CBN probably adopted OTC FX Futures for convenience since the contract will be cash settled and FMDQ will act as an Exchange with IM and VM mandate. OTC FX Futures is a welcome development in the Nigerian financial sector. The instrument is a sui generis financial product that will help participants engage in FX ventures without being inundated by currency fluctuations. The major drawback in the Futures contract market is the activities of speculators, but the Guidelines seems to have plugged that hole as Guideline 2.2.3 provides that “OTC FX Futures sold by Authorised Dealers to end-users must be backed by trade transactions (visible and invisible) or evidenced investment.” The import is that there must be evidence of a transaction that the end-user intends to hedge before the authorized dealers will be allowed to take a trade position. The CBN also, in Guideline 2.2.1, indirectly maintained that Naira will be the only legal tender acceptable in Nigeria as Authorised Dealers are only permitted to offer Naira-settled non-deliverable OTC FX Futures. The implication is that at the end of the contract tenor, settlement will be (Naira) cash settled. The Naira equivalent of the difference in the current and contract spot prices will be paid to the counterparty who is in positive region of the trade. The exception to Naira settlement is for a foreign investment after a Certificate of Capital Importation (CCI) together with FMDQ OTC FX Futures Settlement Advice is presented, Guideline 2.2.7. Counterparties willing to trade in OTC FX Futures will approach the FMDQ Exchange, an interface between the buy and sell side, and decide on the positions and tenor of their trade. The Exchange will provide the spot price at which the trade will be carried out after the necessary KYC has been carried out to ensure that the counterparties/dealers will comply with FMDQ’s trade regulations. If satisfied with the KYC, the FMDQ Exchange, as part of its regulatory oversight, will demand that counterparties post an IM (constituting at least 5% of the entire contract sum) to hedge against counterparties’ default. FMDQ Exchange as part of protective mechanism, makes cash calls on the trade counterparties depending on the market movements. The mark-to-market rate will be determined by the Inter Bank Foreign Exchange Fixing (NIFEX). The FMDQ’s appointed agent, Nigeria Inter-Bank Settlement System PLC (NIBSS) in charge of clearing the inter-bank OTC FX Futures, is empowered to collect the IM and VM, and settle the party on the maturity date. NIBSS is also empowered to settle the trade if one of the counterparties decide to close out its position before maturity date. It seems therefore that the CBN has put a very strong mechanism in place to ensure that the OTC FX Futures market minimise the disequilibrium in the FX market and cause the FX rate to moderate and attract significant capital flows into the Nigerian economy. It is hoped that all the holes are properly plugged to prevent speculators from entering into this market as that will likely derive up the dollar rate, defeating the CBN’s purpose of developing this market. The Naira- settled OTC FX Futures product is a welcome development which will be of tremendous benefit to individuals and corporate entities that engage in FX businesses. It will also present an opportunity to hedge against future market movements. Whilst applauding the CBN for its policy, it is hoped that this will be sustained and CBN will put good surveillance in place to ensure that market participants will not engage in activities that could undermine the effectiveness of the innovation. IM is the percentage (5% and above) of the contract sum deposited (at the contract start date) with the exchange to hedge market movement from the day a party defaults in payment of its VM to the day the counterparty’s position is eventually closed out. IM cushions the exchange in the event a counterparty defaults in its obligation. It prevents the exchange from using its funds to offset counterparties’ trade positions. The amount of IM posted by counterparties may increase during high market volatility. VM which is difference between the contract and current market price at the close of any day’s trading. A party whom the market moved against is required to post the amount before the Day 2 trading. Because Futures are exchange-traded, the parties are unaware of the counterparty taking the other position of the trade. Settlement of both Futures and Forward contracts are now mostly done in cash. Speculative trading occurs when a market participant approaches the exchange to hedge a speculated risk without possessing real risks i.e. hedging that the price of a commodity will spike without actually having any intention of buying any commodity in the future. 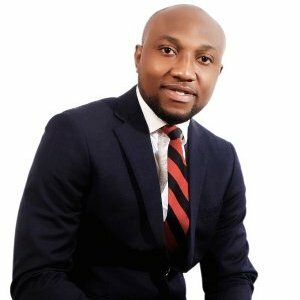 Tochukwu is admitted to the Nigerian Bar, and holds an LLM in Corporate, Finance and Securities laws from the New York University School of Law. Tochukwu has a strong interest for capital markets, securities transaction and finance, with an ardour for dispute resolution, both in the international and local sphere. Tochukwu is goal-driven, resourceful and a natural team player. Whilst Tochukwu's career interest is in international business law and transactions, he is also committed to worthy charitable courses, and has offered his assistance on a pro bono basis in certain cases. Ed's Note- This article was originally posted here.